Place all of the ingredients for the topping of the chicken thighs in a food processor and give a few good chops. Place the chicken thighs in a baking pan and sprinkle with tops of the skin with salt and pepper and a drizzle of olive oil. Top the thighs with the mixture from the food processor. Drizzle with olive oil and bake 45 – 50 minutes. 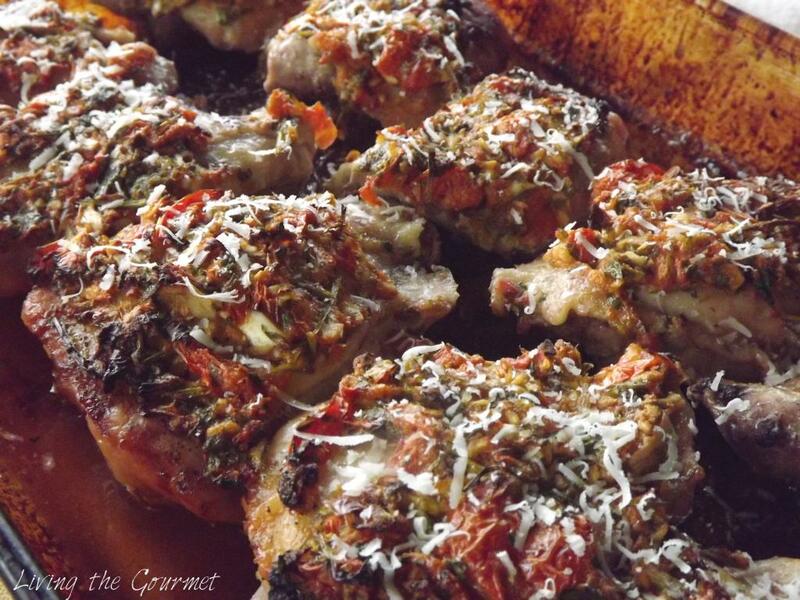 Grate Romano cheese over the thighs when they are finished cooking. This is a delicious way to serve chicken thighs.